I have to admit, that whilst I love a good conspiracy— entertaining the idea that the Earth is flat was just too “Off The Wall” to ever take seriously? So I decided to delve into the world of the “Flat Earth Theorists” — put my tin foil hat on, cast aside any preconceived ideas I may have had and just examine the evidence backing this extraordinary claim…. It was only recently that I became aware that the whole concept of a Flat Earth still existed — but having spent a little bit of time researching it — I quickly found out it is not just mentally unstable internet trolls who are pushing this idea. Jarhle Andhoy who dubs himself a “modern viking” was recently fined 45,000 Norwegian kroner and given a suspended jail sentence for travelling to Antarctica illegally to see just what is going on down there — Now 50 countries and growing are part of this treaty. So what is this telling us? — Could it be that there is something going on that people don’t want us to find out…. Another fairly obvious observation that the Earth may not be spinning like we have been told is evident during flight times. Surely if a plane is travelling with the direction of the earth spin then it should take much longer to reach the destination than travelling the opposite way? It would be fair to assume that the flight times would be significantly different at least — but they are not, which is totally inconsistent with the spinning ball model. This question that is frequently used to disprove Flat Earth conspiracy theories, but actually there is a very simple explanation for it, but before i answer that. Different directions on a compass have nothing to do with the earth being round. On a round earth the north-pole is at the top, Antarctica is at the bottom — In reality, the North Pole is in the centre and Antarctica surrounds us. It works exactly the same way. Traveling north will lead you to the centre, traveling south will lead you to Antarctica. As an analogy — Imagine that you are standing twenty feet from the North Pole. If you travel Eastwards where will your path take you? That’s right! Your path takes you in a circle around the North Pole. The smoking gun for me in taking the Flat Earth theory seriously is the curvature argument. When I was younger I grew up on the Isle Of Man where there is a mountain called Snaefell which is a famous vantage point allowing you to see England, Ireland, Scotland and Wales from the peak on a clear day using nothing but your eyes. How is it possible that you can see all these locations perfectly flat with no dip due to the curvature of the globe? NASA and modern astronomers say that spherical trigonometry dictates the surface of all standing water must curve downwards an easily measurable 8 inches per mile multiplied by the square of the distance — therefore the countries should technically be behind almost a mile of curvature and the peaks should be leaning back away from you. What we actually see though is clearly the opposite and shows zero curvature. To this day, there has never been a successful scientific experiment that has found any evidence of curvature of the earth. The only scientific experiments that have actually measured any curvature have gone on to back the Flat Earth theory. Most notably Samuel Rowbotham tested 6 miles of flat water where no was curvature observed and in 1888, Sir Walter de Sodington Blount did a similar test on the Bedford Level canal which again disproved the theory of a curved Earth. Take this view from the top of Everest? Looks pretty flat to me? “Globe” theorists claim that the horizon is evidence of where the curvature of the globe begins — but if this was the case then when you zoom in on the horizon then you should be seeing off into outer space because the earth would start to curve down? In reality, the more you zoom, the more the Flat Earth theory becomes plausible, as all you begin to see is more flat earth. I hope this is starting to plant a seed of doubt in your mind— but I know that you will still be unable to reconcile the evidence presented simply by the fact that, “NASA” have been up there and taken pictures of the earth for everyone to see! Notice anything strange about this? — Perhaps you may have noticed the fact that you cannot see any curvature? No spinning at 1000+ miles an hour? And at 3.38 you can see a “hot-spot” from the sun which clearly suggests it is much closer than the 93 million miles we have been told — Still unconvinced? Since that very first picture — Nasa has released some very suspect pictures and videos from their space stations claiming to show the round earth in all its magnificent glory. 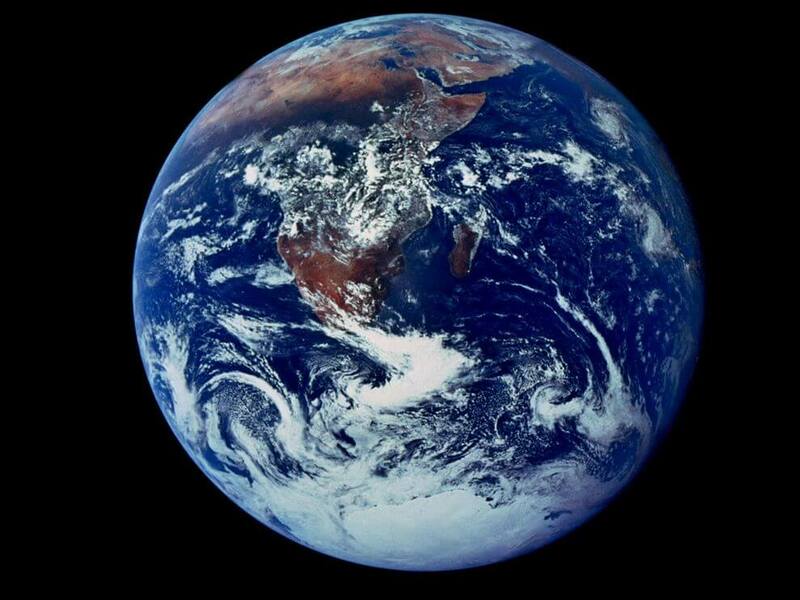 The Blue Marble photo though is probably the most iconic. Taken by the crew of the Apollo 17 spacecraft at a distance of about 45,000 kilometres — it is probably one the most widely distributed images in human history. Using a collection of satellite-based observations, scientists and visualisers stitched together months of observations of the land surface, oceans, sea ice, and clouds into a seamless, true-color mosaic of every square kilometre (386 square mile) of our planet—These images are freely available to educators, scientists, museums, and the public. In other words— This is not actually a picture of Earth, but instead is a series of composites that have been stitched together by scientists and “visualisers” (whatever that means). 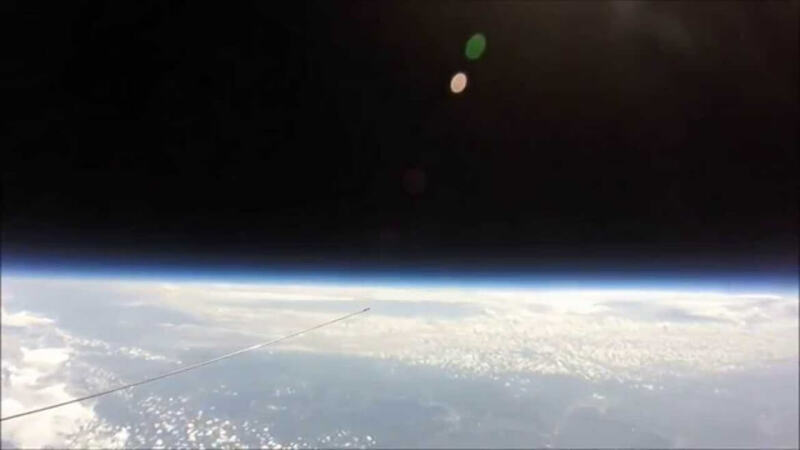 Isn’t is strange how they can send a person up to space, but they can’t just point a camera at the Earth and snap it?— Why the need for composites / fakery which is what these images are? Without these alterations, the image wouldn’t look very “earth-like”, Simmon said. So the fact that we do not have a single image of earth taken as a whole with a camera makes it far from a “wacky, tin foil conspiracy”— but a perfectly plausible idea based on the lack of evidence available to the contrary. When you look at the video footage online from space— the only official NASA footage released has been filmed with a fish eye lens— which again, does nothing to dispel the Flat Earth conspiracy. Any other footage available will either be fake or a CGI replication. But why would NASA perpetrate this lie— Why is in it for them? This is the question that I have yet to get my head around, but there are plenty of motives. One motive could be to keep the trillions of dollars for a space program that does nothing and goes nowhere and it could be a case of being “in too deep”— If it was revealed the Earth was indeed flat, this would prove the Moon Landings were fake. Who knows— but I hope these questions have raises some debate as it is a very interesting subject which will only be cleared up when space travel becomes commercial — Whilst I would have previously laughed at anyone suggesting this nonsense— after looking into it it’s hard to argue with the evidence.